The Crown Inn is a thriving and vibrant local pub and we also run a lively program of events which appeal to a wide audience. Monthly live music and themed dining events means that those living further afield can take advantage of our event and entertainment programme and combine their nights out with a midweek break or weekend away. Our pub rooms have a vintage character and rustic charm that one would associate with an authentic country inn. Choose from our double en-suite, single en-suite or our double and twin with a shared bathroom. All our rooms feature low beams and have a cottage feel to provide the perfect backdrop for the eclectic mix of décor and if you want to have your well-behaved pet stay with you, we can accommodate your needs. Full continental and English breakfast in our restaurant is included in the price to set you up for the day enjoying the Norfolk coast and countryside. A traditional country pub would not be the same without its quality real ales and at The Crown Inn we are delighted to offer a variety of choice for our guests. We feature good cask regulars which are complemented by special guest ales and of course some deliciously refreshing lagers. 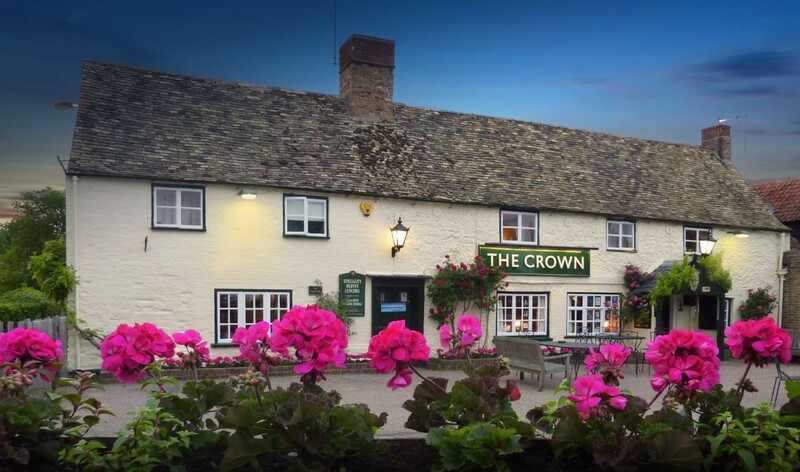 The crown has a wonderful ambience and a welcoming team who aim to ensure your experience is always positive regardless of the circumstances in which you are visiting. We are lucky to have spaces which are versatile and can accommodate a number of different functions including celebratory occasions such as weddings, anniversaries and birthdays and private gatherings for wakes or even community & business meetings.